More protected from the tourist affluence than the North coast, the West Coast still has a good number of beaches and accommodation, offering all categories of hotels, mainly concentrated around the village of Flic en Flac. The region of Morne Brabant, in the extreme south-west is a privileged place to flee the mass tourism. The surroundings are reminiscent of the African bush and the lagoon is ideal for many water sports. For the climate, this region being protected from the prevailing winds all the year, the temperatures there are noticeably warmer than on the other parts of the island, except, perhaps, the North coast. Here, there is a peak of heat between December and March. Coast beach, this region is home to the busiest of the island, Flic en flac. The beach of Wolmar, located in the extension of Flic en flac, has a paradisiacal landscape. This is where most of the 5-star hotels in the region have positioned themselves. As for that of tamarind, the wind is not always the rendezvous but otherwise, it is a famous surf spot. The West, an enclave between the sea and the Black River Mountains, presents quaint little villages dotted between tourism and authenticity. The villages of Tamarin and Black Rivers follow one another along the west coast of the island. 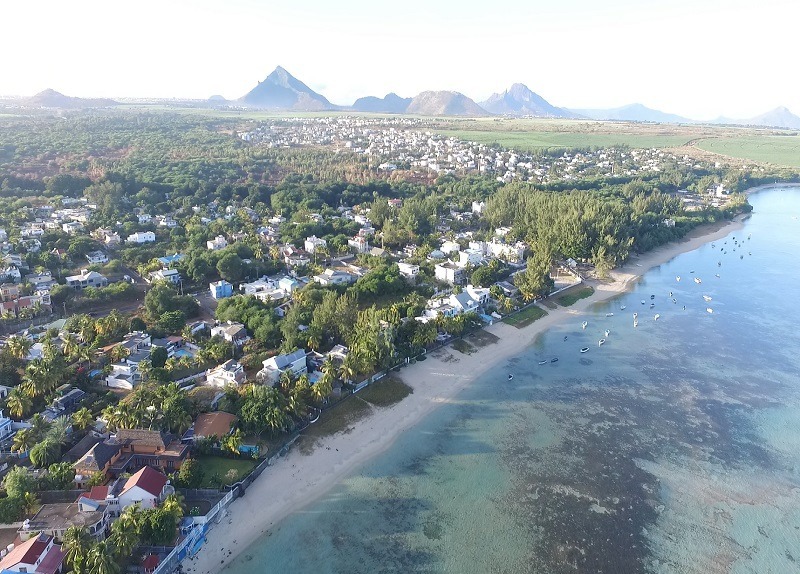 If you’re looking for a break from the bustling crowds, this tranquil beach located on the west coast of Mauritius could be the perfect pick for you! This is often an overlooked beach due to its seclusion but do not underestimate sunset time at La Preneuse as it gets truly magical! Yet another experience to consider when you’re looking for what to do in Mauritius. Most fishing activities depart from La Preneuse, so it is a good experience to witness on an early morning jog. 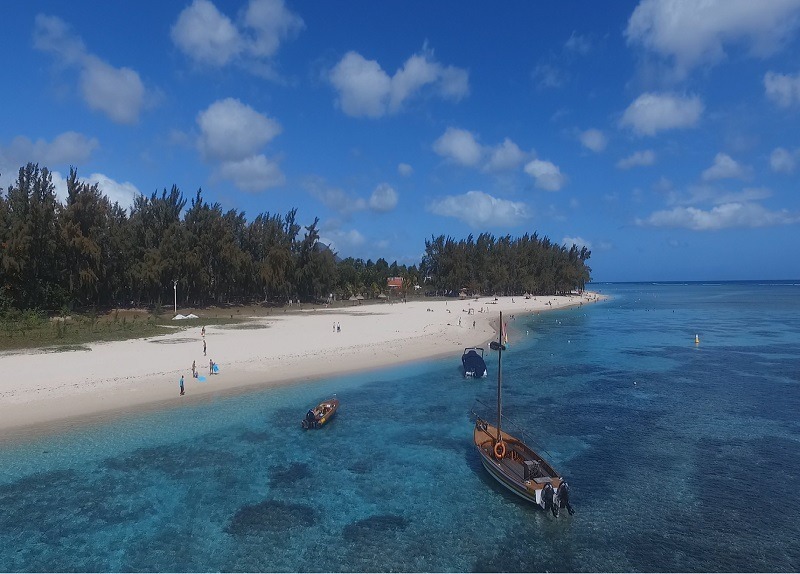 It also serves as a hub for other activities such as boat transfers to Ile aux Benitiers and dolphin watching off the coast. On a low tide, La Preneuse surprises you once again. Here appears a little sand bank which is eventually not visible on high tides and worth a picture. There is nothing much happening at La Preneuse, except on weekends when locals enjoy their family day out. It is also a good spot to observe local lifestyle and get to know why they consider Sunday as sacred. It is one of the locals’ most favored spot for a good picnic after their weekly Sunday mass. The area is surrounded with nice and cosy guesthouses/apartment options and one of your must-try should include The Bay – restaurant with a pool access, which offers a variety of selections on their menu ranging from local dishes, cocktails and more. It is indeed a family-friendly restaurant (tantrum-free since the kids will be having fun in the pool). However, lately, La Preneuse has been subject to Mother Nature’s deception from humankind – erosion. This has led to a big loss of coastal land in La Preneuse, forcing authorities to take action and place study geotextile bags filled with sand for temporary defense and protection. 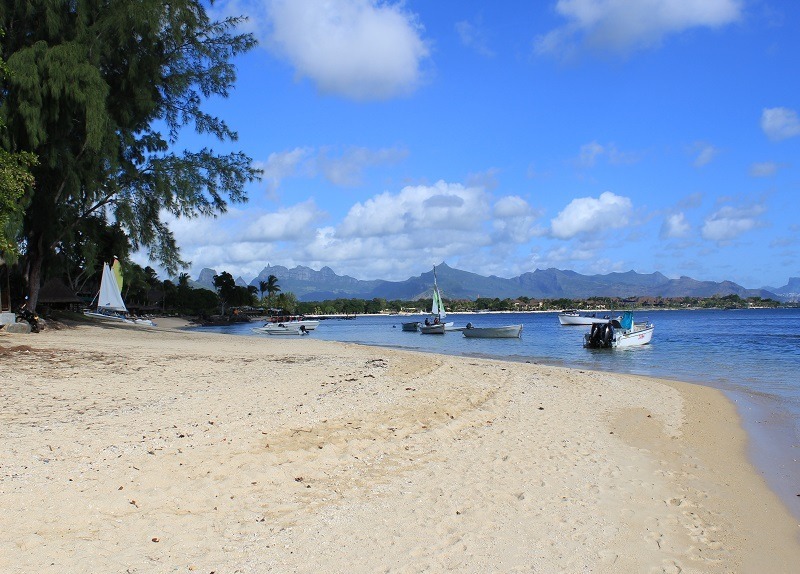 After Pointe aux Sables, on your way to Port-Louis, a small but curious beach will fascinate your attention. 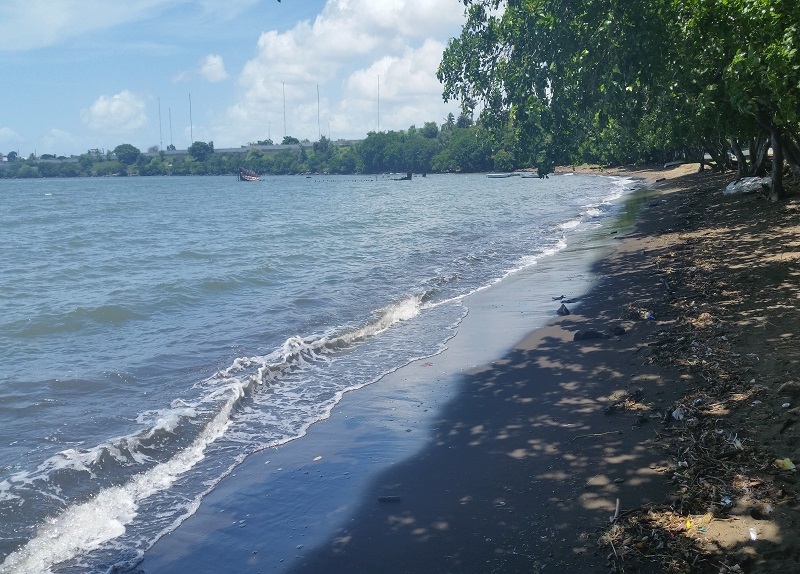 It is very close to Port-Louis and this beach is different to all other beaches around the island, it is the only one with black sand. There are only a handful of black sand beaches in the world and Mauritius is home to one. 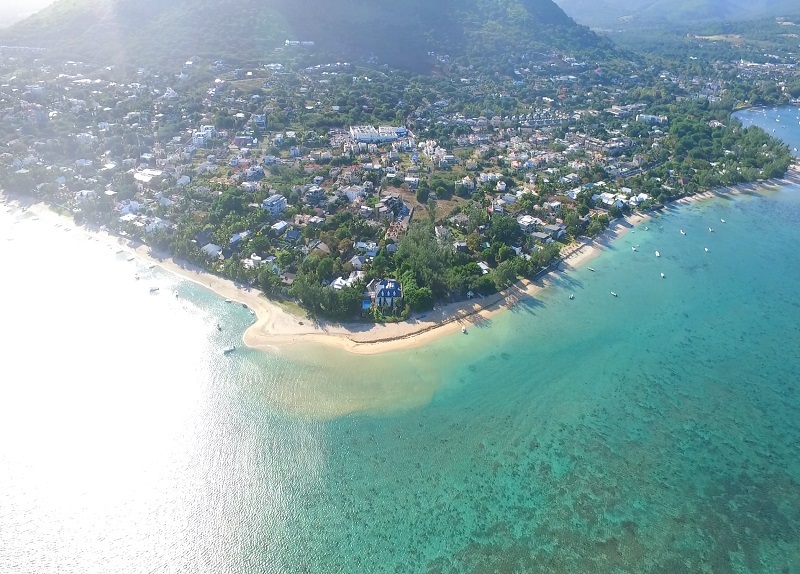 Sable Noir is the closest beach to Port Louis. This beach stands out from the rest for its black sand and shipwrecks. There are 2 shipwrecks in the lagoon and it is a very interesting place worth the top for a photo. You will find no food caravan here or no hotels.If you are driving past the capital city while you explore Mauritius, be sure to stop by Sable Noir to soak in a different experience from the usual. The still water accompanied by black sand and shipwrecks form quite a picturesque setting. You won’t be getting into the water so for once; you can leave your swimwear at home when going to the beach! You won’t be spending much time at Sable Noir so it is best enjoyed when combined with a trip to Port Louis. Sitting on golden sands, you might want to find refuge at one of the finest hotels located at Balaclava. A few of Mauritius best hotels in fact… and there are several reasons for that. Think waves lapping against golden sand, along with a mesmerizing coral barrier reef making it the go-to spot for swimming, snorkeling and kayaking. This is where all your beachy needs are met, starting from a morning jog in the sand to sourcing the perfect hammock spot. Should the crowd bother you (during peak seasons or weekends), you can always walk back up to your hotel’s pool area. Indeed, a great way to enjoy a beach holiday. 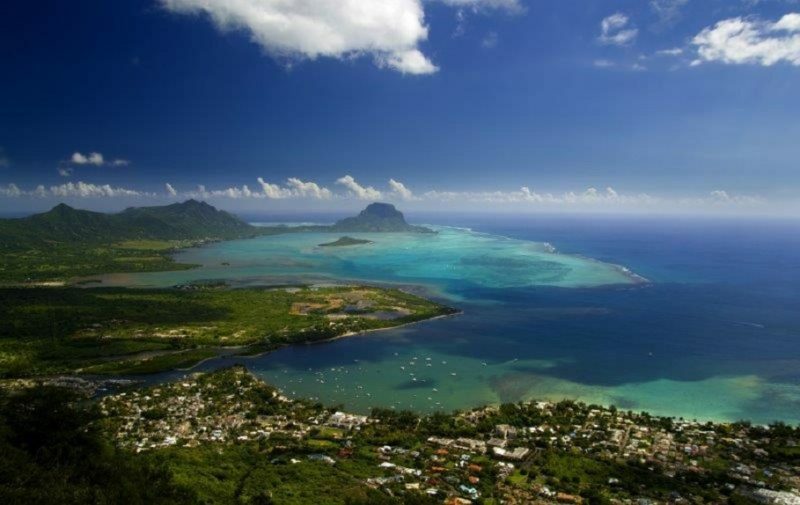 Likewise, Balaclava is rich in history and plays a big role in Mauritius’ historical heritage. Once in the area, you will be able to spot on a few preserved ruins such as old mills and a distillery. On the way to Balaclava, stop by Triolet to stock up on some food and beverages as Balaclava does not have much of an option. Albion is yet another sublime beach that is located in the district of Black River. Not to be confused with Albion Club Med Beach that is more or less private, Albion also has a public beach that welcomes all. Although the public beach welcomes everyone, not many select Albion as their choice of preference. This often makes this beach the perfect place to quietly observe the soothing sound of waves and of course, strike a pose for Instagram with no shame. This beach offers great possibilities for either a quiet day out or an evening barbecue, or why not both! Access the beach and the village of Albion from either Bambous Road or from the village of Petit Riviere. Due to its location, most tourists never seem to find their way to Albion, and as such, the beach offers plenty of peace, quiet and space for everyone. There are clean public restrooms available next to the beach, near the bus terminus, and the forested area behind it offers public barbecue areas as well as plenty of benches where you can rest your legs. Derived from an Old Dutch phrase that translates to “Free and Flat Land”, Flic en Flac is best known for its vibrant underwater world, extended white sand beaches and azure water. Camping too is a popular choice among locals as there is plenty of room along the 8km stretch of white sand. Flic-en-Flac is home to several coconut trees, which offer many shady places to sit back and unwind. On a clear day, what more can you ask for apart from crystal clear water, white sand and a shady spot under a coconut tree to get cozy? Indeed a good way to explore Mauritius! If you’re more of an adrenaline junkie, fear not as Flic-en-Flac is also renowned for scuba diving and snorkeling. Grab your aqua gear and dive right into the azure waters as you are in for a treat down under. By now, you should know what to do in Mauritius! Foodies rejoice! Well, if you’re not a foodie you should still rejoice as Flic-en-Flac hosts a vast array of local delicacies via food trucks. Some of the must try items are the rotis and pickles. Whether you choose to relax under a shady tree the whole day or examine the underwater world of Flic-en-Flac, you can be rest assured your food cravings will be satisfied along with it! Yet another beach to add to your “Mauritius Best Beaches” list and share among friends! If you forget to bring your snorkeling gear, you’re losing out big time! Tamarin is an animated and lively village, especially around its public beach, at the mouth of the Tamarin River, particularly appreciated by surfers. The beach of Tamarin is not like the other beaches of the island. It reveals a different atmosphere, unique, with its brown sand. OH Tamarin Bay, loved around the world by surfers for its majestic waves; loved around beach babes for showcasing an array of hot, shirtless surfers! Bonus Point: Homegrown hotties with sun-bleached sandy curls and a pretty good set of abs! Does that convince you to visit yet? It’s known for its cool vibes (especially on weekends). You’ve got two options once there; if you’re here to work on those tan lines, head right ( cross the river ) and find yourself a spot to start on your barbecuing. If not, remain under the shades of the Casuarina trees. 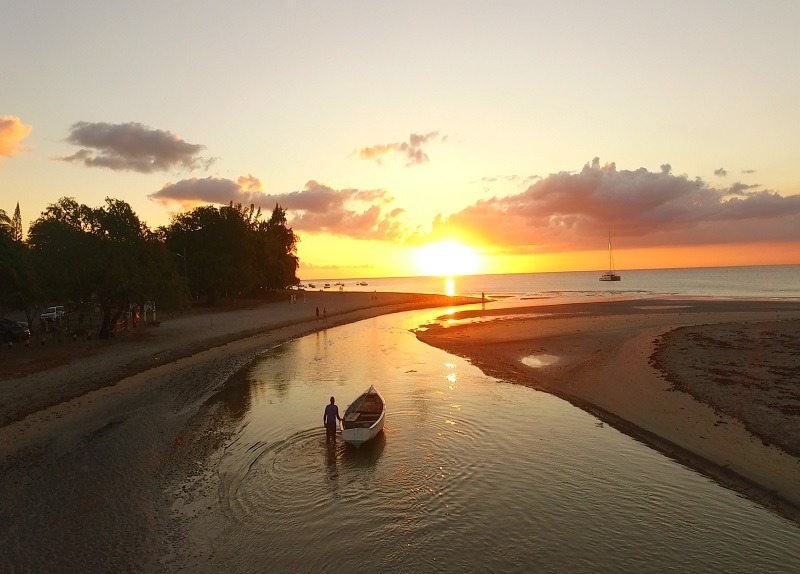 Do not expect bone-white sand in Tamarin Bay, it is like most surfing spots; with a darker shade of thin sand; but its enhanced due to the river connection. If you’re looking at what to do in Mauritius- Tamarin has a unique groovy ambience, especially since it is more popular among youngsters/millennials who like to come with their squad to chill with some nice acoustic music followed by a campfire in the late evening. It is also one of Mauritius best beaches to witness dolphins; however it can get pretty crowded in the early morning (but we’ve got you covered with alternative spots for this experience so stay tuned!). Indeed a FUNtastic place to be!